"Women have special chocolate receptors....heh heh!" “28 degrees (Fahrenheit) when I rolled out at a little after seven. 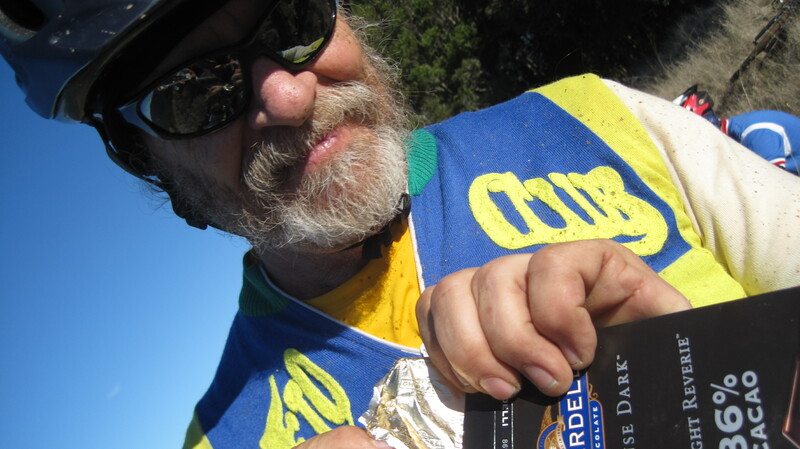 Met Gary Fisher and his son Nick, along with Dirt Rag publisher Maurice Tierney and Jacquie Phelan, and we rode to the dirt together. Nick and Gary must have had something to do, because they didn’t wait at any of the normal break spots. At the bottom of the Pine Mountain run I caught up with Joe Breeze and son Tommy, both wearing Drake High School jerseys. Tommy is on the team and Joe sponsors it. As usual the sponsors showed up uninvited. Clif Bar was handing out samples of Gu at the top of Scorcher, and Josh did brisk business at the free pancake/coffee toddy bar set up at The Triangle. In Fairfax, the Broken Drum Brewery and the Marin County Bicycle Coalition had set up tents where the beer flowed as long as it lasted, after which the crowd moved across the street to the Gestalt Haus, where you have to pay for the beer but they don’t run out of it. It don’t mean a feng if it ain’t got that shui. (Link to Morgan Fletcher’s fine pix) Link to Brad Sauber’s fine pix. 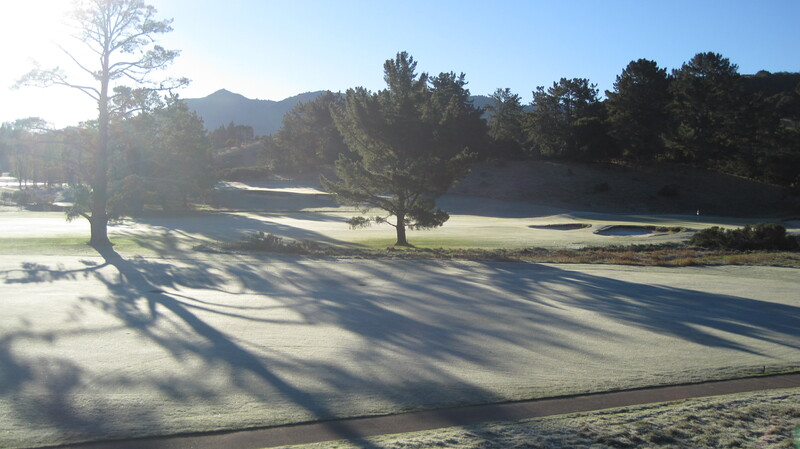 Mildew Club golf course: Frosty! Tam peak in background. ~ by jacquiephelan on November 26, 2010. Tags: "Brad Sauber Photography", "The fine photos of Morgan Fletcher", "The incomparable wit of Charlie Kelly"
Caught you lurking at MTBR where you found the quote. ‘Twas a ride to remember, the coldest one yet and one of the muddier. 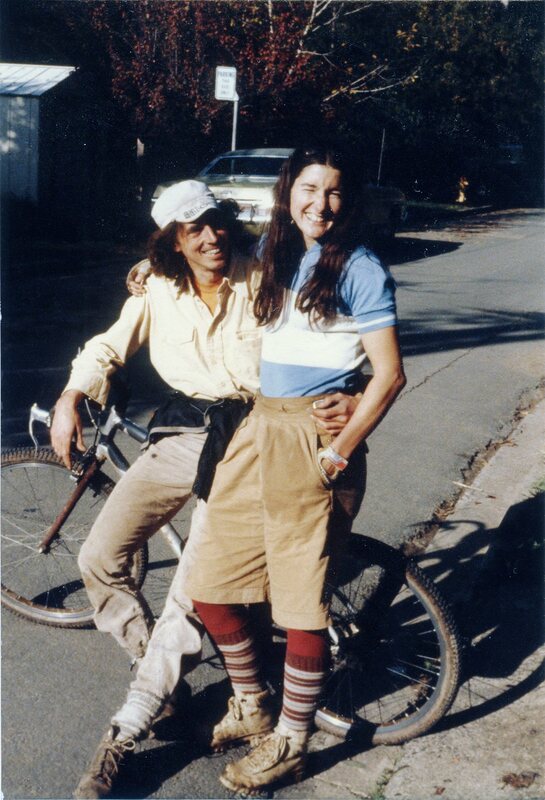 The guy who played your banjo is Fiver Brown, his real name, a musician who opened a show for The Sons of Champlin a year or so ago in Petaluma, and who spent that evening talking bikes with me. It was fun chatting. I’m sorry I missed the banjo. Thanks for stopping.